So, I have a thing for castles. 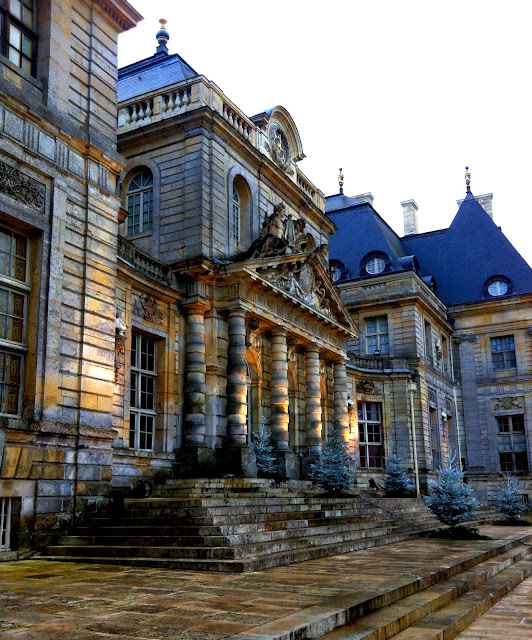 Or should I say over here, châteaux. This mild obsession with castles and châteaux probably stems from the same part of my brain that enjoys indulging in the notion of fairy tales, old school romance and of course, chance meetings - preferably involving some rain, or ideally someone falling over in the rain. Luckily for me, there is no shortage of castles in France. I love visiting castles, even if it's the second or third time around. 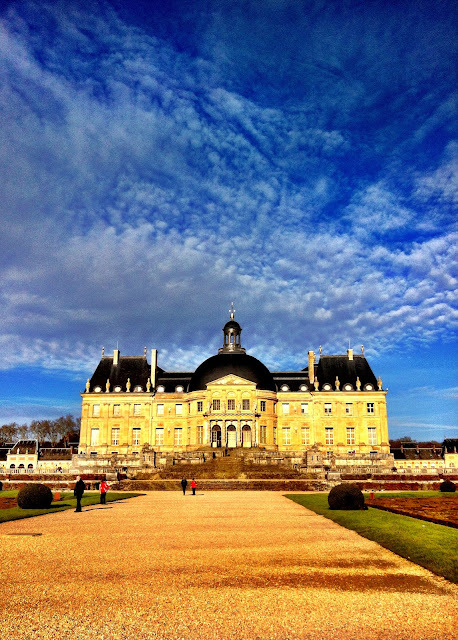 One of my favourites is Château Vaux le Vicomte, a stunning baroque-era 17th century castle located about 1 hour out of Paris. Especially beautiful to visit in the Winter with roaring fires and Christmas displays and decorations like you've never seen before. Does this feel like a fairy tale or what?! 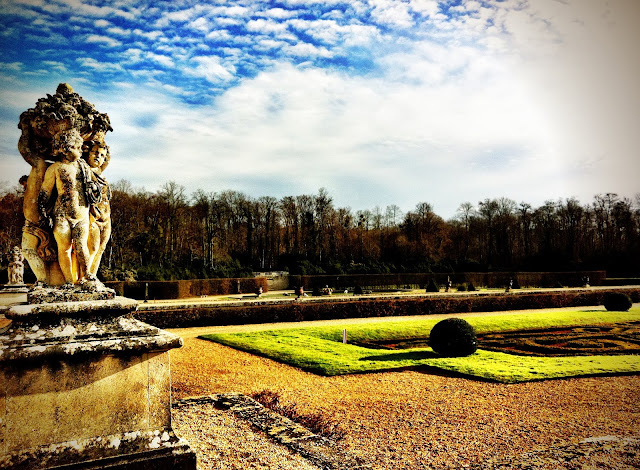 I could probably just end my blog post here with: "and then, I entered the gates of Vaux le Vicomte riding my unicorn..". But I can't because there are too many photos. 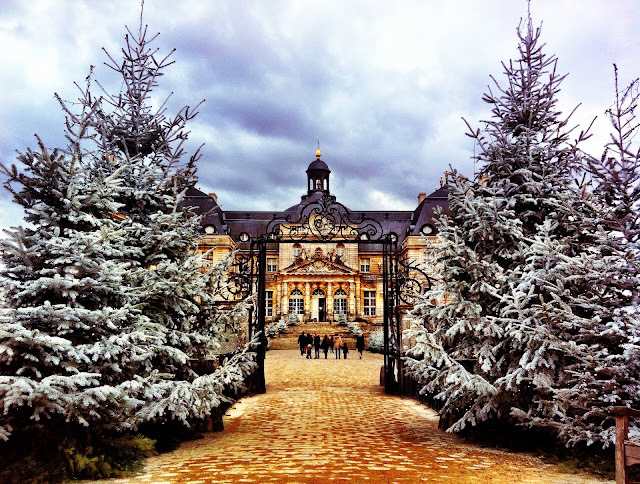 In fact, I think I will need to span Vaux le Vicomte over 2 blog posts. 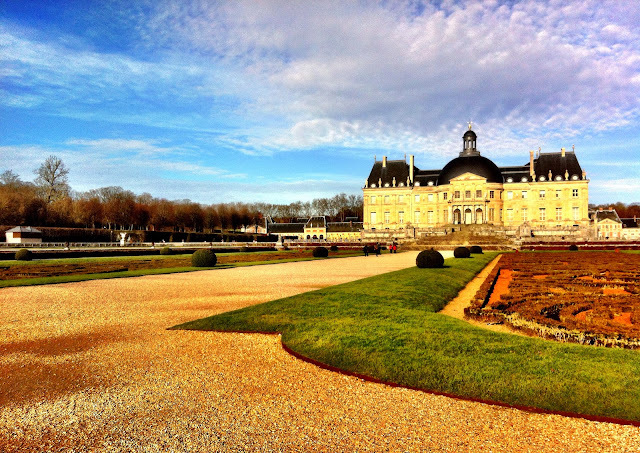 Here's a rundown of the history of Vaux le Vicomte, the castle that is known to have "inspired" Louis XIV to go on and commission the 'anything-you-can-do-I-can-do-better'... Versailles. 1658 - Commissions renovation of the estate because you know, after a promotion it's only natural to make sure your home gets a little TLC. 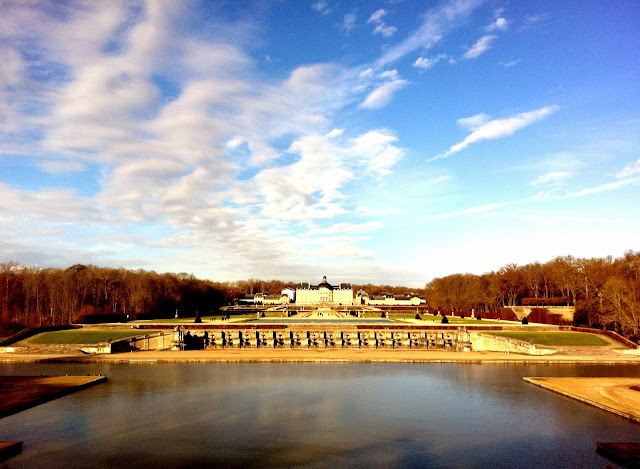 Bringing together three of the finest talents of the time, Louis Le Vau (architect), Charles Le Brun (painter/decorator) and André Le Nôtre (landscaper), Vaux le Vicomte was created, 500 hectares of harmony and splendour between the elements. 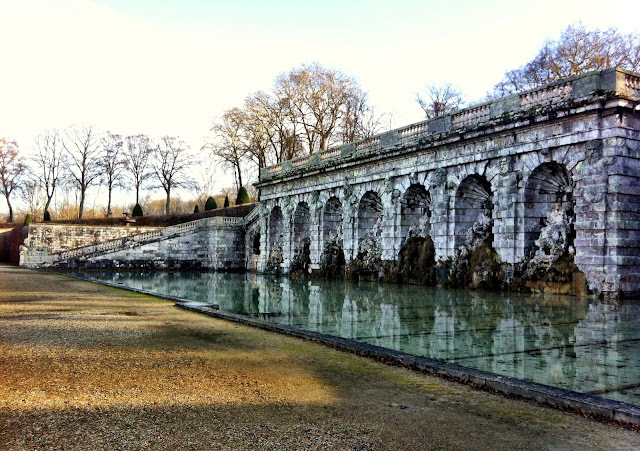 1661 - Nicolas Fouquet was arrested and sent into exile, Louis XIV then ordered Le Vau, Le Brun and Le Nôtre to go and, construct Versailles. Poor thing never got to enjoy his own castle. Note - Tickets are 10% cheaper online in advance! Final note, while there is a restaurant on site, it's also nice to pack some snacks and eat while admiring the gorgeous view from one of the many park benches of the garden. Chance meetings have to happen in the rain! There's no other way! Nic, your photos are amazing. Have I told you that before? Thank you for this wonderful piece - perhaps we can go to this magical place when we come visit later this year?